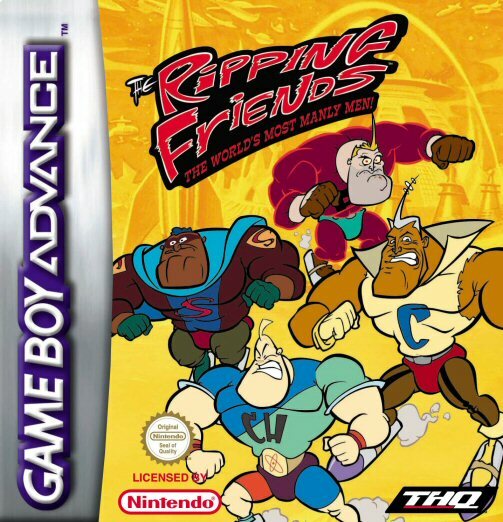 The Ripping Friends is a action game based of the cartoon of the same name here you played as Crag, Slab, Chunk and Rip as they have to stop Citrasset and other villains evil plans. Now you can add videos, screenshots, or other images (cover scans, disc scans, etc.) for The Ripping Friends (E)(Patience) to Emuparadise. Do it now! 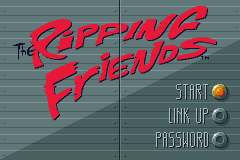 You have the option of playing The Ripping Friends (E)(Patience) in your browser, right here at EmuParadise! No need for any software, no installations required, all you need is a fast enough PC and a browser with Flash support. This is great if you're on a PC with restrictions on software installations or want to secretly play at work. 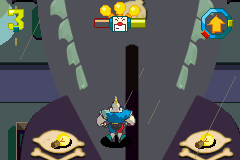 Platform : GameBoy Advance            Size      : 32 MegaBits            . �   qui soient, et ils arrivent maintenant sur GBA. �   et peut pulv�riser des immeubles gr�ce � son "ombre de 5 heures". �   de la libert� et de la justice. �   par le dessinateur d�jant� qui avait d�j� donn� naissance � Ren & Stimpy. �   le Blaster, le Freeze Ray et le Popgun � botter quelques fesses de m�chants. �   avec trois amis pour vous aider si vous jouez en mode multi-joueurs.